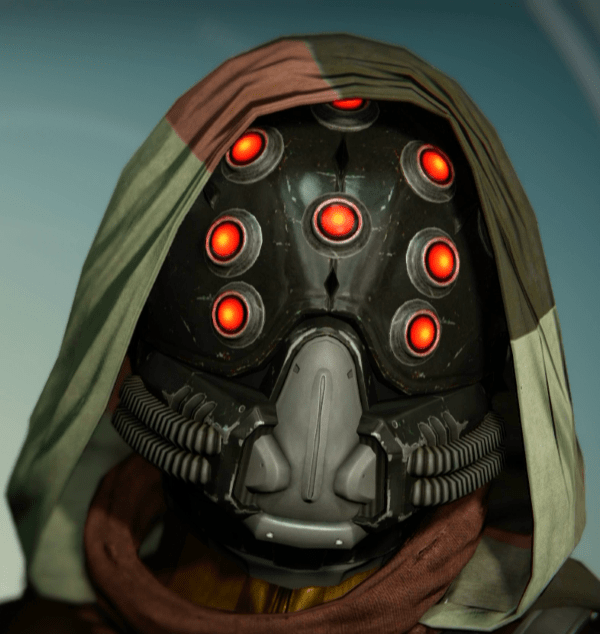 He’s also selling Exotic helm Engrams, but it’s probably best to save your Motes until the 22nd. A true powerhouse, its quick reload speed upon killing an enemy and increasing rate of fire makes it overachieve at mowing down your foes. It’s definitely one of the most well known Exotics, and arguably the best machine gun. Use these with the Ruin Wings for double the fun! Check out how we place it in our PvP and PvE Exotic tier list, and read our full review if you’re on the fence about buying it. Yeah, it’s well worth the 17 Coins. Thunderlord is truly the king of machine guns and is the perfect weapon for tearing through enemies with minimal downtime. Its name is only matched by the percussive sound of each shot rattling through the battlefield. Each round fired from the weapon causes a short burst of lightning to erupt from the barrel, which may distract from the brief blue trail behind your bullets. Its position as a heavy weapon makes it less than ideal as the weapon to take up your Exotic slot, and you won’t want to keep it equipped until you really need it, but when that time comes you won’t be disappointed. Feeding Frenzy – Kills with this weapon increase reload speed for a short time. Lightning Rounds – This weapon fires faster and more accurately the longer the trigger is held. 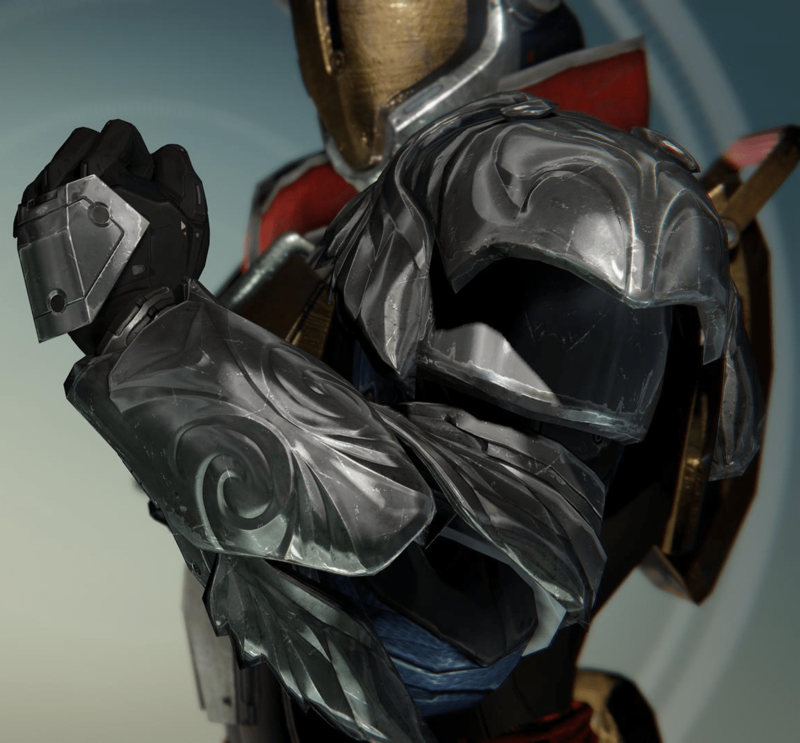 Ruin Wings + Thunderlord is a PvE player’s dream, though you’ll find these gauntlets are borderline useless in the Crucible. These ranked in tier 1 for our Titan Exotic PvE list. These have a decent 95/102 Strength roll, while the max is about 113. Seeds of Ruin – Heavy ammo drops more often, and contains more ammo in each drop. Absolutely pick these up for PvE! Special Weapon reloader can be helpful for slow shotguns, and Impact Induction conceivably can assist in Grenade cooldown, but the signature perk is a non-factor. As heavy ammo granted is a function of base magazine size, Seeds of Ruin might as well not exist. Avoid these in PvP. 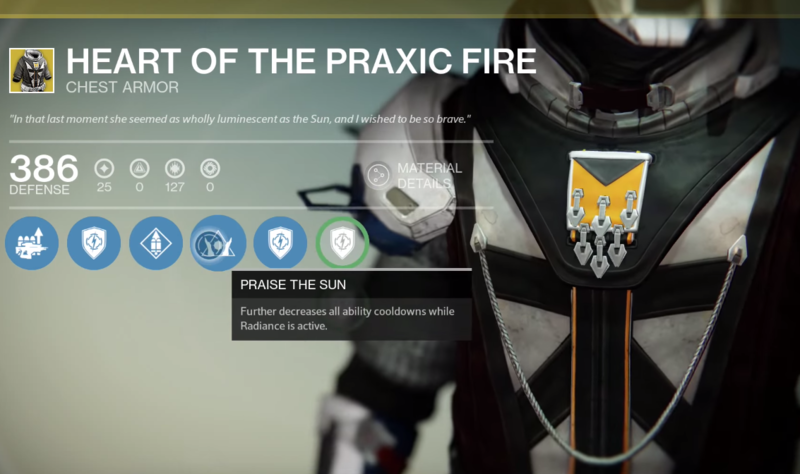 You will almost never have the need to burn through Heavy ammo synthesis packs since you’ll be consistently picking up ammo. ATS/8 ARACHNID‘s key ability will enhance the zoom of your Golden Gun, allowing you to get more precision shots. The Golden Gun does more damage with precision shots, so while this could be helpful in a few situations, it’s hardly worthy to be an Exotic. This helm has 57/61 Discipline and 63/68 Strength. Light the Blade – Causing damage with a grenade reduces your melee cooldown. Arachnid Sensorium – Your Golden Gun zooms in for accuracy when aimed. Unfortunately the enhanced zoom very lackluster and provides no real benefit. Only use this if you’re going to accurately use your grenades liberally, or actually think the zoom is helpful. The other perks on the helm work very well, revolving around your grenades, allowing you to use your Super and melee ability more often. Having your throwing knife and Super available more often is great, and will be more apparent in PvE since damaging minions of the Darkness with grenades will be much easier. Perfect for PvE Voidwalkers, and can even be useful in PvP with the right setup. It has 65/70 Intellect and 54/58 Strength, each maxing out around 73. Energy Projection – Increases grenade throw distance. Inverse Shadow – Increased Super energy gained from killing minions of the Darkness. Insatiable – Nova Bomb kills reduce the cooldown of your next Nova Bomb. Xur’s only sold this black beauty a couple times before, and every time, it’s been a hit – and for good reason! Definitely buy it now if you haven’t already, because it’s one of the best Exotics for a Voidwalker, especially in PvE. Do you love using Nova Bomb? Insatiable will decrease the cooldown on your Nova Bomb every time you kill something with it, which sometimes can allow your Super to recharge instantly. 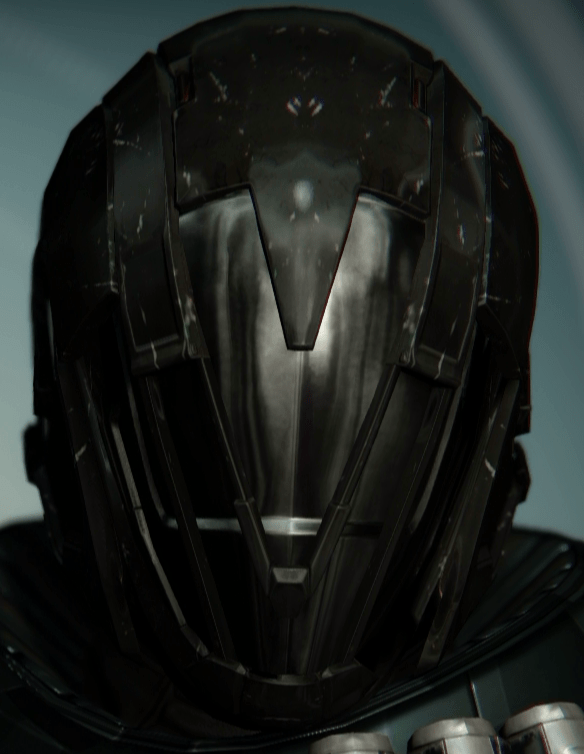 Coupling this with Inverse Shadow, in PvE, this helm is going to cause you to wreck havoc. It’s recommended that you use Bad JuJu with Obsidian Mind, as kills with that weapon will further increase your Super recharge speed! Voidwalker’s Soul Rip, Annihilate, and Bloom talents will allow you to maximize your damage with the Nova Bomb. Soul Rip allows Energy Drain to reduce the cooldown of your Nova Bomb and Annihilate/Bloom will make your Nova Bomb deadlier.